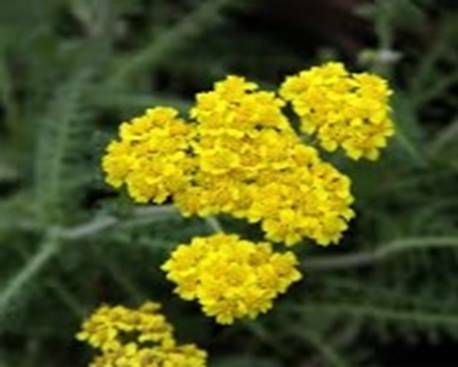 This Achillea is bred by Har Stemkens, it has the same bright yellow flowers of Achillea Moonshine but with a compact habit, 30cm instead of 60cm, makes this plant ideal for todays smaller garden spaces and with the outdoor living space it also makes a great patio plant being great for containers. Flowers from May until September, plants will rebloom if cut back after first flowers have faded. The finely cut grey-green foliage makes a good back drop to the flowers. I trialled the plant in the trial garden and my own patio area prior to it being introduced. So now is the time to be busy looking at your flowering plants and those that are flowering from your selections and breeding work and making further crosses and selections. You see with the Achillea, by getting a shorter flowering plant it makes the plant more fitting for todays market and also for growers more plants can be transported on a lorry in flower as its shorter so it’s a good growers plant. Keep records of any crossings you make. Get the camera ready to take photos to record your work. Well the weather is now very dry and hot, in my area at my garden we have had no appreciable rain for most of June, July and now the start of August, we had a Thunderstorm at the end of July but now it’s turned very hot with record temperature likely..
Plants to look for in August. You will need to keep all baskets and tubs watered and checked each day. Coleus plants make ideal patio plants there are many new varieties with many different leaf colour combinations. Combination planting in containers is becoming popular look out for them in your local garden centre, look for some last minute bargains to fill up spaces in the garden and rejuvenate tubs and baskets. Ideal plant for container planting is Geranium Rozanne. When planting containers use a gel in the compost this will help retain and save water, always water in late evening even better is to use trickle/drip irrigation on a timer. Regular weeding and hoeing whenever you can will keep weeds under control. Dead heading will help to prolong flowering, and for some plants like Aquilegia cut back after flowering to prevent seeding in garden, otherwise they tend to take over. Cut back Digitalis and Verbascum, can encourage some re-flowering. Fill any gaps in borders with last minute offers from the garden centre or online. You can trim evergreen hedges now, but avoid during the very hot weather. Look out for Aphids and other pests, black spot on Roses, check with local garden centre for best controls. If you grow Lilies pick off any Lilly beetle seen. Mow lawn regularly, mulch clippings or recycle, keep edges neat, don’t mow to short as we are now in dry period, don’t worry to much about brown lawns they will soon come back at the first rain. I suspect your lawn is like mine very dry and mostly brown, don’t cut it leave until there has been a good rain the grass will come back. Apply summer fertilizer, follow instructions, slow release is best, do not apply in drought conditions, if using feed and weed avoid getting onto ornamental plantings as it will cause damage. Use a selective weed killer to kill weeds not grass, better than using feed and weed most professionals do it this way. During the dry period if you are watering the lawn do this at night when evaporation is low, better still don’t, the lawn will come back use water wisely. If you have a pond then keep water circulating, if you have a fountain or water fall keep running during night during hot periods to keep oxygen levels up, clean filters as needed, remove blanket weed and skim off floating weeds such as duckweed, feed fish as needed. Remove any debris leaves etc reduces toxin build up. Open greenhouse and increase ventilation on sunny days, extra shading like shade paint applied to outside may be needed during hot periods, don’t let greenhouse get to hot. Damp down the floor of the greenhouse on hot days this will control Red Spider mite. Tomatoes will need tying in as they grow and remove the side shoots that grow from leaf joints, when flowering you may need to give plants a little shake to help will pollination. Give plants space as they grow. You should be starting to see fruit forming now, important to ventilate well during hot sunny days. Tie in roses and other climbers. Check for pests like Aphids, red spider mite, white fly, regularly, biological controls are available look online. Pick off any dead leaves, keep floor and pathways free of plant debris this will assist with pest and disease control. Potatoes should be well underway, continue to harvest as needed. Harvest Rhubarb, but leave 2 thirds to grow on. You may need to cover some plants to protect against bird damage , fleece is ideal. Plant out leeks and cabbages. Take time to relax in garden at some time each day time for barbecues and enjoying the fruits of you hard work. The garden should be an extension of your house an extra room if you like and now it will be looking at its best. During this hot dry weather any watering should be carried out late in the evening, pointless to try watering the lawn unless you have the luxury of an irrigation system and your own borehole!